Room size: 25 m² Bedding types: 2 single beds, 1 double bed or 4 single beds Air-conditioned room with a balcony, satellite TV and free WiFi. 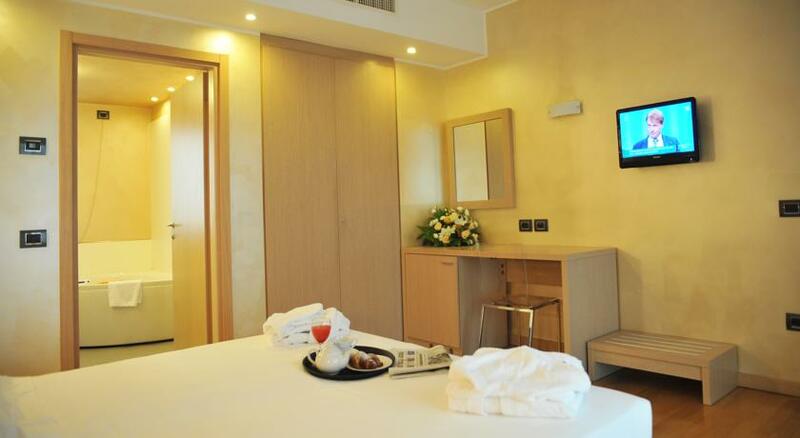 Room Facilities: Balcony, Telephone, Fax, Satellite Channels, Flat-screen TV, Safety Deposit Box, Air Conditioning, Desk, Heating, Carpeted Floor, Soundproofing, Wardrobe / Closet, Hairdryer, Free toiletries, Toilet, Bathroom, Bidet, minibar Free WiFi is available in all rooms. Included: 10 % VAT, breakfast.